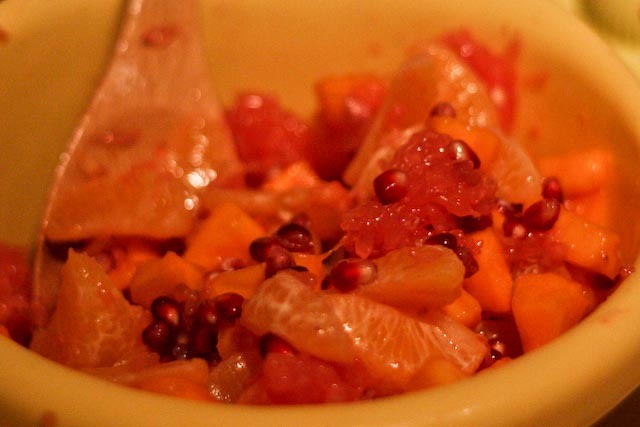 Fruit salad is not the first thing that comes to mind when I think of winter food, but I thought I’d see what I could come up with using some of the season’s best and brightest – citrus, pomegranates, and persimmons. 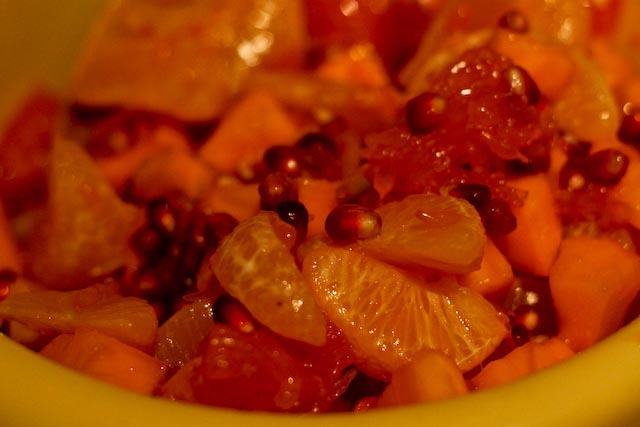 I used a large ruby grapefruit, which I peeled and cut into bite-sized pieces, removing as much of the bitter pith as possible. I just peeled and pulled apart the small pieces of each clementine. For the persimmons, I decided not to peel them, and just removed the tops and chopped each into bite-sized pieces. 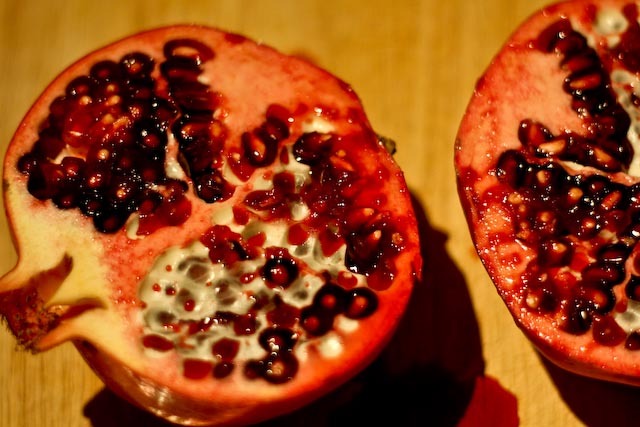 I prepared the pomegranates by removing the seeds from the fruit into a bowl of water in order to remove all of the membrane. For the dressing, I combined a little honey and freshly squeezed lime juice. Peel the grapefruit and cut each section into bite-size pieces, removing as much of the pith as possible, and place in a mixing bowl. 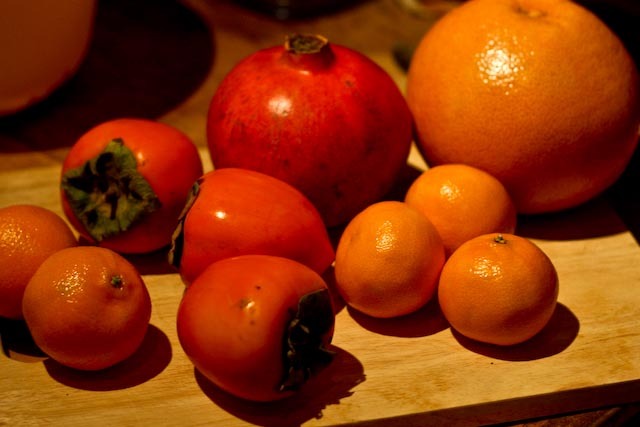 Remove the top of the persimmons and cut into bite-size piece. Add the persimmons to the bowl. Peel the clementines, remove the wedges, and add to the bowl. 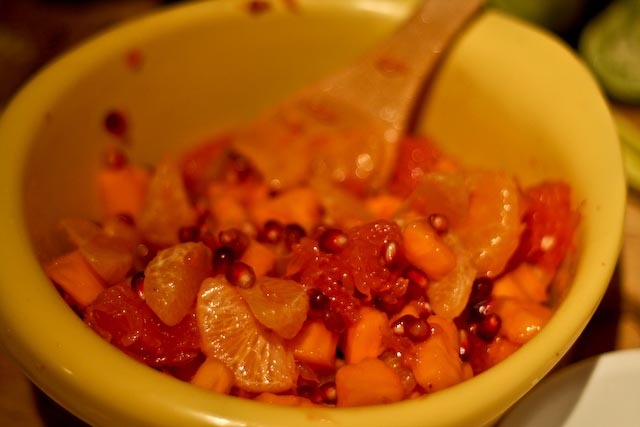 Add prepared pomegranate seeds. 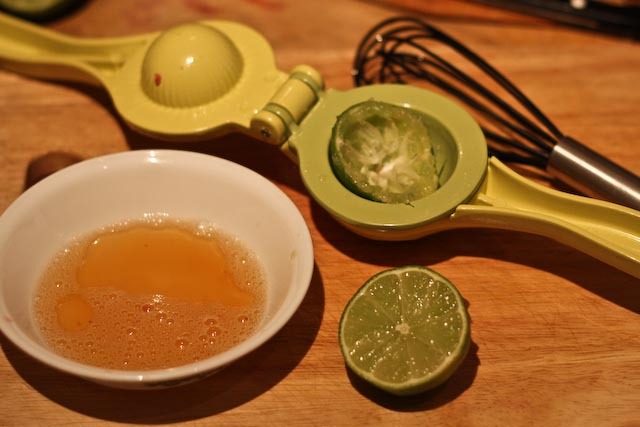 In a small bowl, whisk honey and lime juice until well combined, and pour over the fruit. Toss to combine.